Customer led growth specialist. Commercial, Marketing and Sales expertise in designing transformational strategies and practical solutions to accelerate profitable customer engagement, aligning strategy and tactics for rapid growth. Diverse career across B2C, B2B, B2G, UK/International markets in Financial Services, Construction, Utilities, Telco, Health, Professional Services, Education and Consumer industries in Executive, Interim, NED and advisory roles with leading organisations - HSBC, Aviva, GSK, PWC, NS&I, BBC, Cabinet Office. 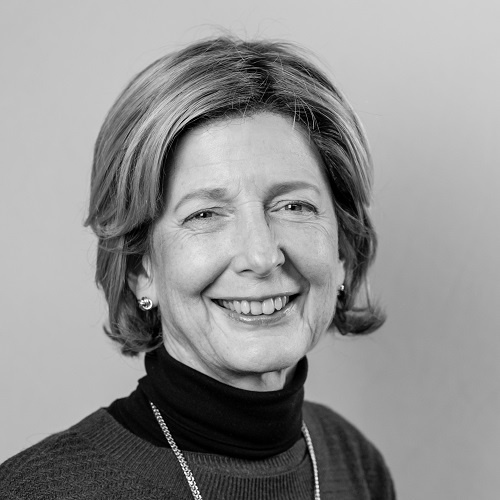 Supporting PE and SME sectors, Karen applies deep skills in customer insight, brand, proposition; product design, pricing; communications, digital, customer experience; distribution, sales, bid management; partnering; risk management and governance. Devised sales process addressing engagement, coverage, deal shaping, proposition and solutions creation across Aviva. Generated 40% deals win uplift at 20% less cost. Drove income growth of +400% through new brand proposition, sales model and organisational change, targeted to + 1000 partner organisations and consumers. Secured market leadership, doubling assets in two years and reducing costs. Rose the bar of marketing and sales capability – launched into new markets, underpinned by insight. Led commercial development creating robust services and new digital sales for existing and new markets. Hired new team to enable sustained 100%+ growth on handover. SME Online solicitor - created Brand proposition, web site, customer experience – site traffic doubled in 3 mths., enabling 2nd round funding. Designed Marketing Strategy and plan to grow business +36% in 2 yrs. ; included new branding, web site, data strategy, resourcing, channel optimisation, new markets and governance. Restructured global marketing and sales processes – result +70% sales, including +25% in digital conversion rates.